Overview of our community engagement. We believe in a future where the milk supply communities become vibrant sources of inspiration. We partner with local organizations who educate, encourage and support participants to choose a career in dairy and who create engaging and impactful programs that promote a healthy, active lifestyle. We are proud to showcase a few examples of these community initiatives and encourage you to learn more and share this information. To request support for a community program that aligns with our objectives, please complete the form below. Our Promise, today and tomorrow, is to never stop promoting the future we believe in. The Big Cook Up was created as a unique and memorable community event bringing together our two greatest assets: our employees and our products. The idea of cooking for the community was a natural fit since producing quality foods unites our employees every day. Through this community engagement program, we wanted to rally employees and provide an opportunity for them to take an active role in giving back. On 6 December 2018, 140 Saputo Dairy Australia employees gathered in Melbourne to prepare 360 trays (2,880 meals) which were then donated to families in need through Oz Harvest. 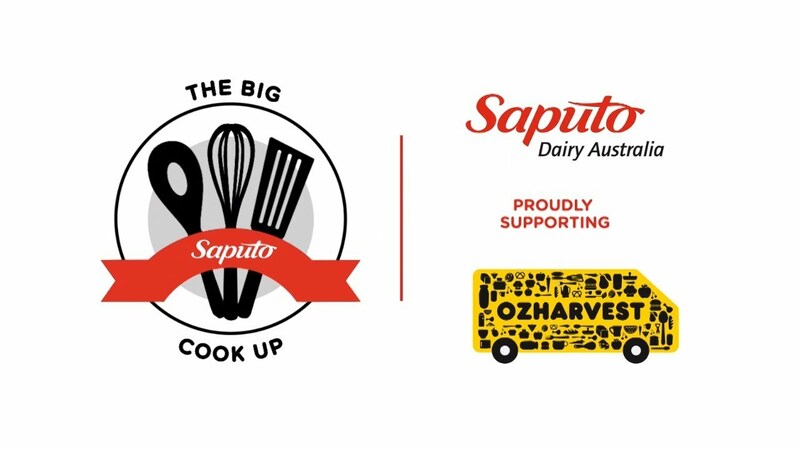 We've captured the best moments of this heart-warming day in the Saputo Big Cook Up Melbourne video. Through the Deakin University Scholarship, we provide financial support and an internship at WCB to chosen honours students studying a business-related discipline at the Warrnambool Campus who demonstrate a strong interest in agribusiness. As the title sponsor of the annual Sungold® Field Days, we demonstrate our commitment to the development and prosperity of the dairy industry. This event showcases the latest innovations, machinery and services offered to the dairy and cattle breeding sectors. A significant local economic boost is generated from this event, since it’s unique in the region thus attracting many visitors. Sungold® supports a range of community organisations such as sporting clubs, schools and church groups within Warrnambool Cheese and Butter Factory's milk supply region, particularly through product donation. These include, Sungold® Milk Stadium, the Terang, Camperdown and Warrnambool Cups and DemoDairy. We are also proud to sponsor the Sungold® Twenty20 Cricket Competition. This program was created in memory of the late Adrian Meade, a former Warrnambool Cheese and Butter Factory supplier, director and chairman who was passionate about encouraging students from the region to further their tertiary education. This exciting five-day program shows regional Year 10 and 11 students the entire dairy industry supply chain from paddock to plate. Participants learn about the wide range of careers in the industry, encouraging them to see it as a place where innovative leaders make their careers using the latest technologies. This program demonstrates our optimism about the future and our commitment to encouraging young people from the region to enter the industry.